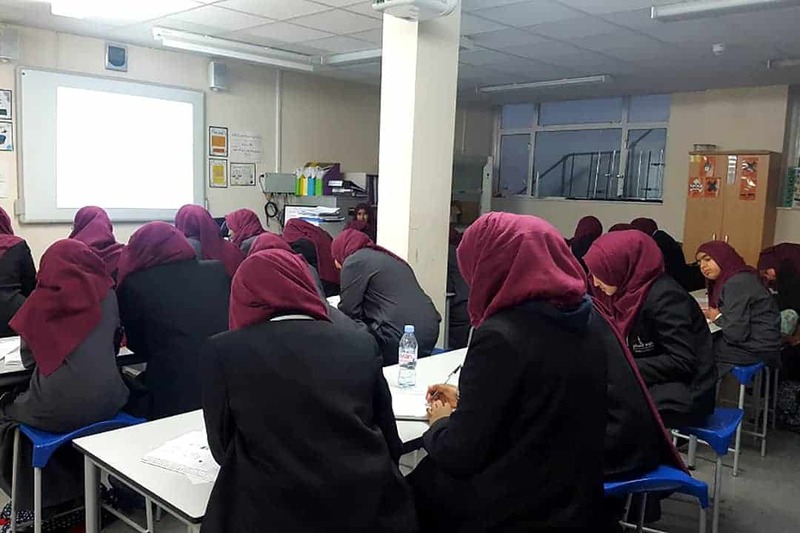 This workshop at Quwwatul Islam girls school focussed on an introduction to understanding the concept of ‘mental health’ as a dimension, with ‘mental ill-health’ being one facet. Aimed at the young women of tomorrow, year 10s and 11s were able to discuss and explore ways of promoting mental wellbeing and mental health amongst themselves and their peers, and understand some of the obstacles and challenges they face in the world today. They also learnt about how mental health fits in with islam, and how we can work to break the stigma in our communities and the lack of understanding. Students thought about the ways in which we can use islam to improve our mental health, and what to do if things go wrong. We thought about the ways that life events and the stress of school can impact us, as well as the impacts of social media, political events, and the challenges of becoming a woman. Overall, an open discussion was achieved as well as allowing time for open dialogue with teachers and students to share their concerns. Students who attended the workshop found it was much needed- in fact they requested their school to provide a learning environment around the topic of mental health. Organisers reflected on the challenges faced in combating mental health stigma and best supporting students to fulfil their potential and get the help they need, whilst adhering and explaining islamic principles. We all agreed on the importance of muslims continuing this work and on ways of educating the next generation in order to spearhead change. Students had the opportunity to engage and have space for discussions that are often overlooked – many were asking for work experience by the end of it!